Functions & Activities Of BKMEA. 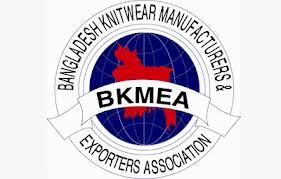 Bangladesh Knitwear Manufacturers & Exporters Association (BKMEA) was formed in 1996 by the all out efforts of few knitwear manufacturers. Soon after the formation it undertook activities to look after the interest of the knitwear sector of the country. Today it is an association of about 1700 knitwear manufacturers and exporters that represent the largest export earning sector of the country. BKMEA has grown enormous network in home and abroad. The members are the core strength and primary network of BKMEA. Besides, BKMEA works closely with national and International bodies and maintains close relationships with all stakeholders. On areas of common interest, it also works with similar organizations like, International Apparel Federation (IAF), Global Alliance for Fair Textile Trade (GAFTT) and American Manufacturing Trade Action Coalition (AMTAC). To boost up trade and to enhance cooperation between countries, BKMEA has signed agreement with concerned associations like China Yunnan Light & Textile Industry Association on June 10, 2005, Botswana Manufacturers & Exporters Association on October 8, 2009 etc. Presently Bangladesh is the 3rd largest knitwear exporter in the world just after China and Turkey. To lead the world apparel market, BKMEA is putting diligent efforts to diversify export market, and ensure better market access of the country’s knitwear products to EU, USA, China, South Africa, Japan and other countries. To promote the sector, BKMEA is implementing development projects with German Technical Cooperation (GTZ) and other international organizations in this regard. The association has signed MoU with GTZ on March 16, 2005 and Metro Group, Germany on 26 April, 2010. The development works include: enhance productivity and improve social compliance status of its member factories, promote workers welfare through centralized day care centre health care centre, prepare sector related research and publication, organize trade promotion missions and fairs in home and aboard. BKMEA has strong relationship with Govt. to formulate strategies and national policies on sector related and other socio economic important issues. BKMEA is run by a 27-member Board of Directors led by the President. The Board of Directors is elected for a 2-year period. To run the association efficiently, different committees are also working. Numbers Of Garments Are In BKMEA.